Mary Ann and I are meeting in a few weeks to discuss beginning our next book! She has already written a first draft and has lots of ideas on the next steps. This one is more based on learning about the world / geography. I’m excited to share it with everyone! We will likely self-publish again using Createspace (an amazon company), but are always open to other ideas! There are lots of other topics we’d like to write about in the future. What do you think? We just received our first order of books! Every year at graduation, we purchase a book for each preschool graduate. 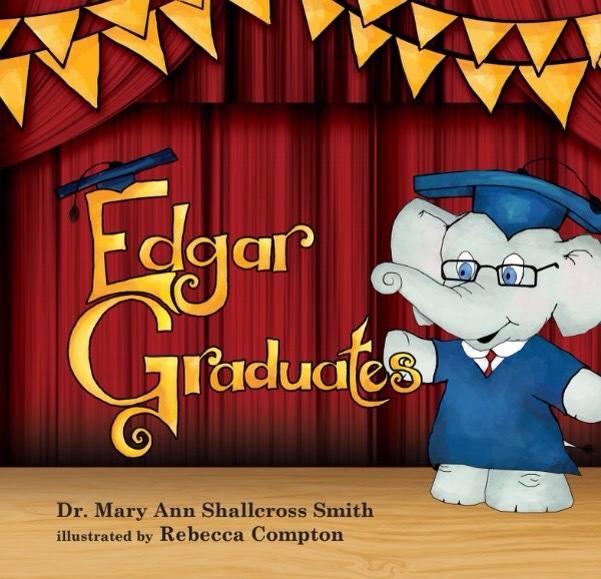 This year’s graduates will receive a copy of Edgar Graduates! We need approximately 100 for the preschool students, so we ordered 200 to start. 108 books arrived today. I am very impressed with CreateSpace- they were scheduled to arrive on 5/4- so they are a full week early. Mary Ann is also taking books to local businesses to see if we can sell them in stores. Nayco Family Store in Lincoln, RI has already agreed to carry them! Our book was published yesterday! You can buy it on Amazon. We bought copies for our graduating Preschool students and to give as gifts for the children who contributed artwork. Very exciting! More information coming- stay tuned! This site will be used to display my artwork, illustrations, and other projects as they arise.